A brilliant new courgette, dark green cylindrical smooth fruits that match up very easy. 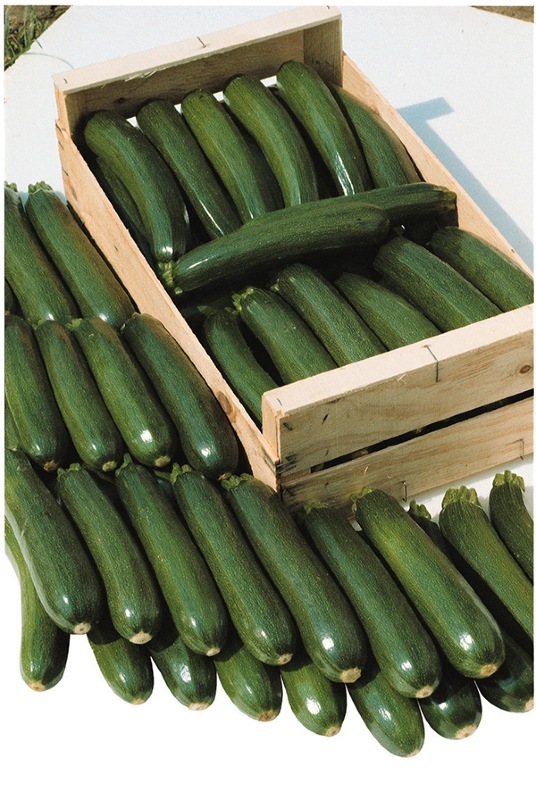 Early cropping, and suitable for tunnels and outdoors. A good new variety. Culture: Sow singly in pots April-May under glass at 20-25°C (69-78°F). Harvest July-October (12 weeks maturity). Pick often to ensure continuity.